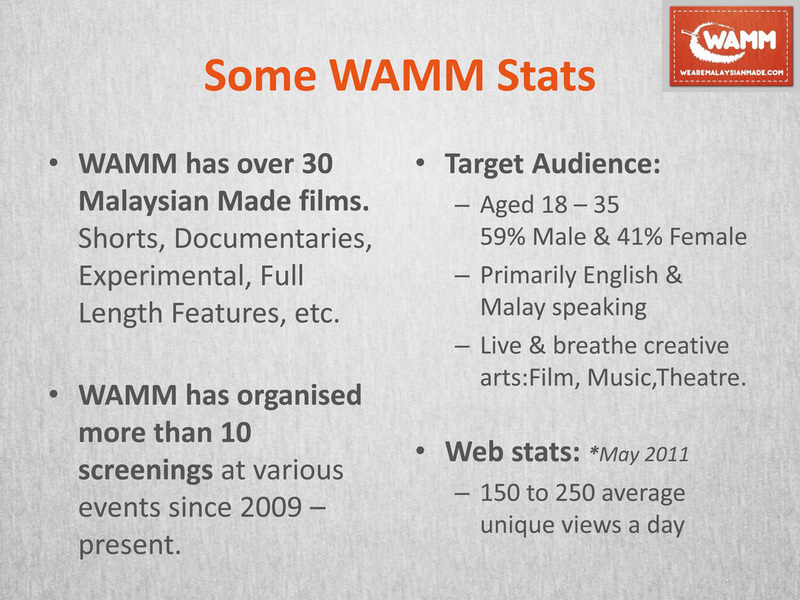 THE FAIRLY CURRENT SHOW is yet another Malaysian Made endeavour and WAMM wants to highlight what they do. As the title suggests, below is a link to an interview they recently did with Ivy Josiah on the recent Aminulrasyid death and other fatal shootings by the police. Ivy, a former Royal Commissioner on the police, comments on the recent Aminulrasyid death and other fatal shootings by the police. She also contextualises the case against the Commission's chief recommendation of setting up an Independent Police Commission. Guess what? MAY 13 is coming again!! *throws confetti! * Just like each year, we are reminded of THE Peristiwa Tiga Belas Mei. Let's do things a bit differently this year. Instead of going to monoracial gatherings like the one happening at Gong Badak, why don't we all have multiracial gatherings instead! SUN 16 MAY is INTERNATIONAL AIDS MEMORIAL DAY, to remember those who have passed away from AIDS. PT Foundation and Ruumz have created a campaign called AIDS AWARE to collect 13,000 photos by members of the public to commemorate the number of Malaysians who have lost their lives to AIDS so far. A selection of the photos are going to be exhibited at The Annexe Gallery from 14-16 May. The opening will be on Fri 14 May, in the evening, time to be confirmed. You're invited to take part in this campaign by posting a photo of yourself holding an AIDS message. Find out more info HERE now. Special screening of Doghole, a short film by Wong Hoy Cheong that examines the history of the Japanese occupation in Malaya during World War II. Are you a Gleek? - Glee Flashmob Dance : KL Chapter!! Location: It's a secret for now!! But Gathering Point for flashmobbers has been set at somewhere in the Gardens or Midvalley. 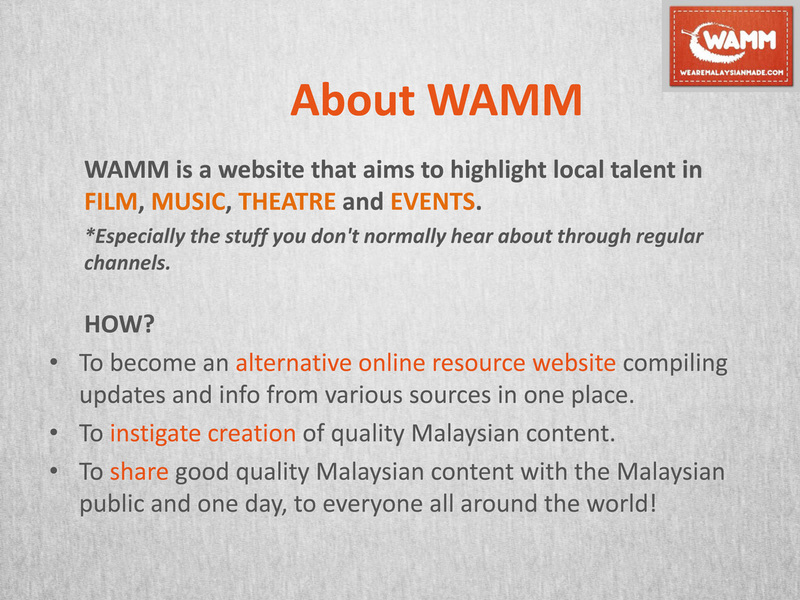 For latest details, check out the Official Glee Flashmob KL website or follow @RandomAlphabets or #GleeKL on Twitter! Admission: What admission? It's FREE!! Bring your friends!!! Bring your mom!! Coz it's Mother's Day weekend!! Bring everyone you know!! Yea, I know this is very last minute. But I've been so busy with rehearsals for this that I haven't had the time to do write up about it. And what is Glee? Glee's one of the latest TV obsession to sweep the US, if not the World. But even if you're not a Glee fan (I'm not), this is just some good clean awesome fun!! Check out rehearsal photos on the official webbie. We've been having a blast rehearsing!! This is the musical that I've been rehearsing for since January 2010. It's the longest running local musical / play with 35 shows! The fact that it is a collaboration between the Malaysian Aids Council and The Actors Studio makes it even more special. Why is it on the main page? I won't lie, it's because I'm on it. Tickets are available now. Click HERE for more details!